It’s been a long road back from major knee surgery for Yoshihito Nishioka. It got a little bit longer last week when he drew Roger Federer in the first round of the U.S. Open. And the reality of the situation wasn’t lost on the 22-year-old. After reaching a career high of world No. 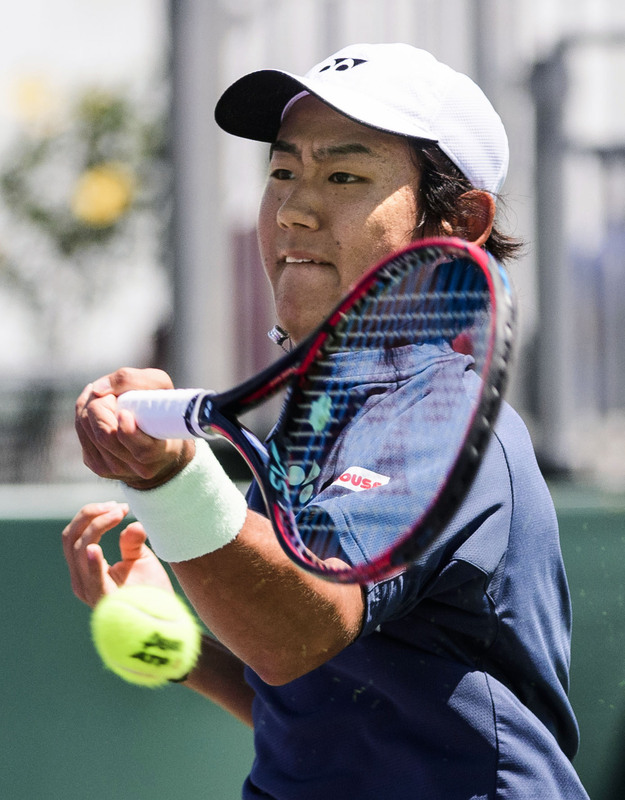 58 in March last year, Nishioka’s rapid rise was put on hold indefinitely when he ruptured the ACL in his left knee at the Miami Open that spring. The diminuitive Nishioka, standing just 170 cm tall, had surgery in April and sat out the rest of the 2017 season. Because tennis’ ranking system is based on results over the previous 12 months, Nishioka was forced to more or less build his ranking back up from scratch, aside from a few entries into ATP-level tournaments via the protected ranking system, including this year’s final Grand Slam. Those exemptions are due to run out after the U.S. Open and he’s likely to have a difficult time getting into main draws at the top level over the season’s final few months because of the mixed results he’s had in his comeback season. On the positive end, the clear highlight of the lefty’s return to pro tennis came in May in Gimcheon, South Korea. 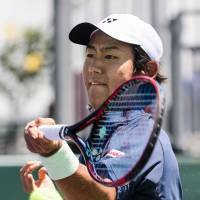 Nishioka roared through two rounds of qualifying and then five matches in the main draw, including wins over top-100 players Vasek Pospisil and Jordan Thompson, on his way to his fifth ATP Challenger title. But the momentum Nishioka built in South Korea, where in 2014 he first burst onto the scene with a gold medal at the Asian Games, was short lived and he didn’t win another match until the end of July. It’s no surprise that he’s struggled to get back to the cusp of the top 50. Nishioka routinely faces players up to a foot taller than he is, making speed, quickness and agility paramount to his success. Any slight discomfort — his four 2018 retirements are proof enough that he’s not back to full fitness — and he’s going to be fighting an unwinnable battle. No matter how fit he may be, his matchup Tuesday night in New York can be classified as such. Mild recent success with wins over No. 74 Taylor Fritz and compatriot Yuichi Sugita (No. 91) may be a sign that he’s finally working his way back to form, but a primetime matchup with a living legend in front of 20,000 fans is too tall of an order at this stage of his comeback. If he’s on his game, expect Nishioka to keep the individual sets somewhat competitive, but anything better than a straight-sets loss would have to be considered an overwhelming success from the young Japanese’s point of view. Leftys are notoriously tricky for the Swiss great and that might enable him to catch Federer off-guard on occasion, but all in all the match is probably best looked at as a learning experience. Another checkpoint on a long journey back.